Duck feast in Klubovňa has started! Flatcakes now also available to "take-away"
Klubovňa will be crazy about ice hockey! Watch all the matches live. Starting today in all Klubovňa pubs. 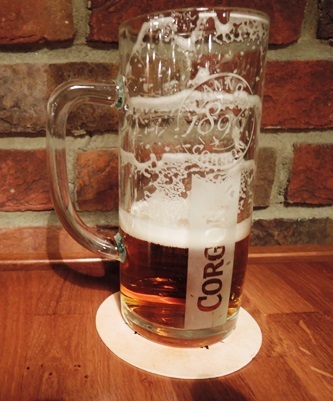 Why we pour draught beer in Klubovňa the way we do? We got amazing specials for you! Why do we want to brew our own beer? Klubovňa will have its own tank beer. And we will brew it with you! Welcome New Year with us! Ventúrska Klubovňa is open now! Important informations for our hungry guests. The complete list of opening hours during the holidays in all our venues can be found here. You can now enjoy autumn specials in your favorite Klubovňa pub. Venison pâté wrapped in bacon, roseship-quince jam, roasted walnuts, toast. Porcini soup with sour cream, with roasted potatoes and dill. 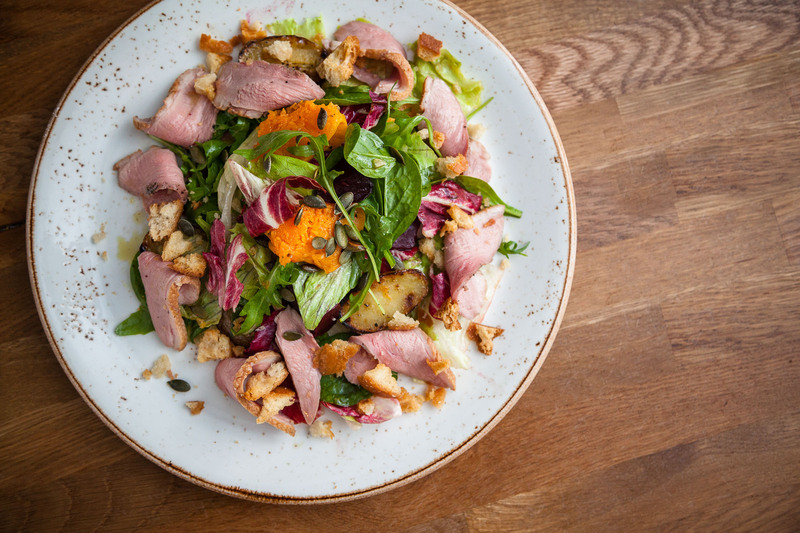 Lettuce leaves with smoked duck breast with autumn vegetables, pumpkin seed oil, and garlic croutons. 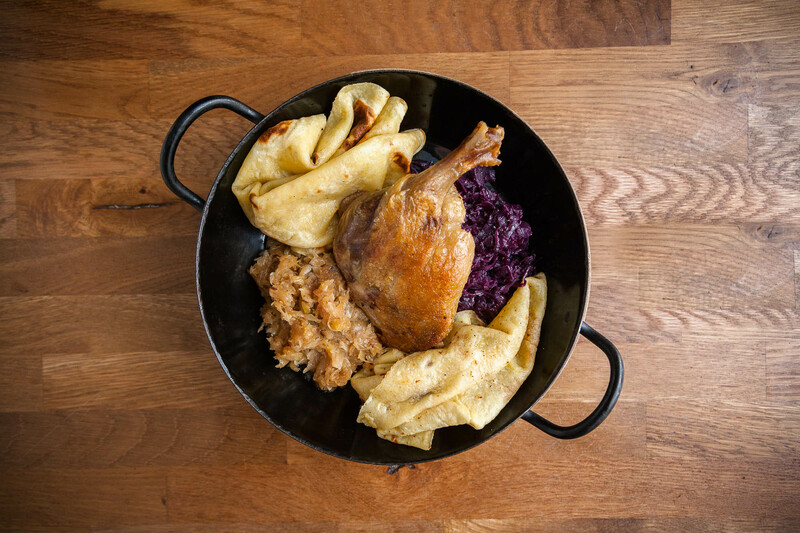 Confit of duck leg, braised red and green cabbage, potato crepes. Venison with rosehip sauce, homemade bread dumpling, fried bacon. Plum dumplings, cinnamon-flavoured breadcrumbs, lemon quark, clarified butter. 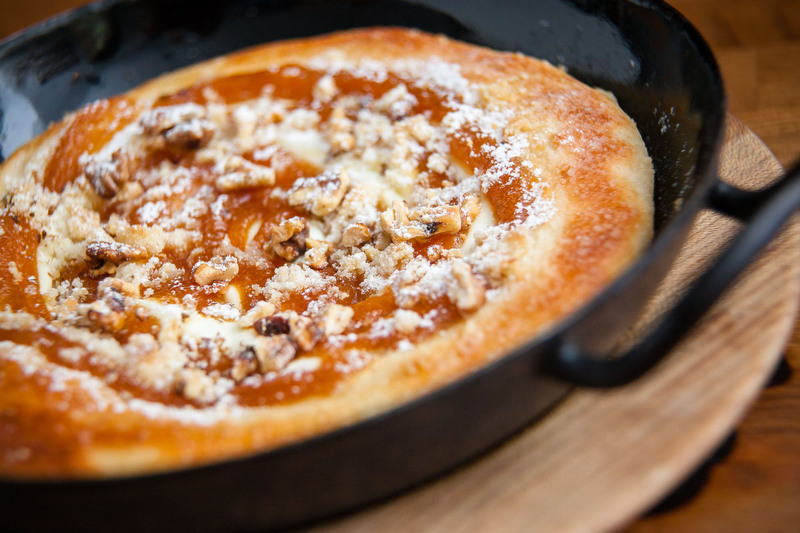 MedusaCard special: Apple-cinnamon flatbread with quark, walnuts, and crumble topping. Come and enjoy our summer specials in every Klubovňa pub now. Cold-style meatloaf, spicy tomato tartare, parsley salad, toast. Grilled goat cheese, leaf salad with melon, roasted hazelnuts, beet and honey dressing, toast. Grilled beef Tri-Tip, herb butter, roast potatoes with cheese, grilled vegetables. Apricot dumplings, with poppy seed, apricot espuma, butter. MedusaCard special: Klubovňácka 11⁰ braised pork knuckle burger, smoked cheese, valerian salad, spicy tomato tartare, whole grain mustard dressing, french fries. New Košická Klubovňa Now open! We opened a new Klubovňa pub on 31st May 2017. The 7th Klubovňa is located on Hlavná Street in the center of Košice. Košická is the first Klubovňa in the eastern part of Slovakia. All the amazing things you already know from other Klubovňa pubs like great beer, exquisite food and an awesome atmosphere can't be missing in Košická Klubovňa. Košická Klubovňa has a capacity of 140 seats inside and another 50 seats can be found on the outdoor terrace. The interior is full of old historical photos from different parts of Košice. 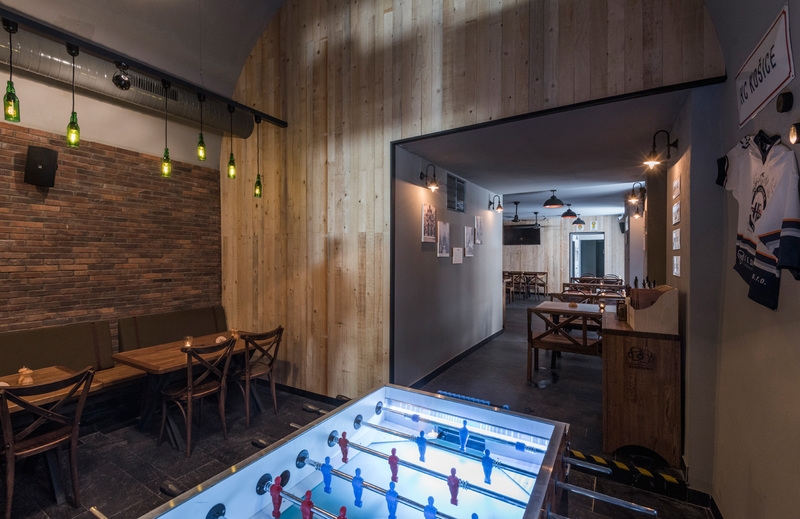 The pub has also table football and large LCD screens on which you can watch your favorite sport matches. Come and enjoy specials from our new spring menu. 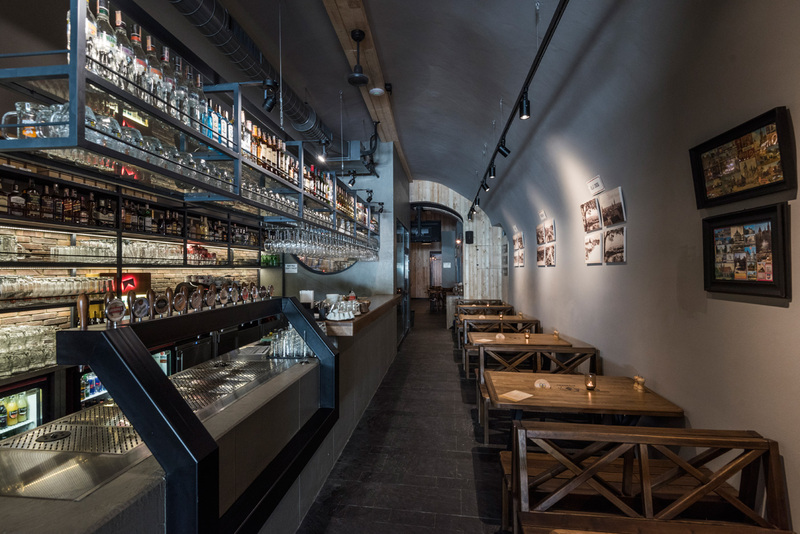 Enjoy hog-killing delicacies and much more now in each Klubovňa pub. You can warm yourself up with a special selection of winter drink in each Klubovňa pub this winter season. Traditional genuine Trnava mead Apimed with dark draught Maurus and spices. Unique Jagertee liqueur with Klubovňa red wine, homemade cinnamon syrup, whole cinnamon stick and orange. Fresh mint “tea” with Becherovka, pear juice and winter spices. A portion of fresh pear and ginger sweetened with our unique pear malt syrup, star anise and cinnamon. our opening hours will change during the upcoming holiday season. Please see all the details here. 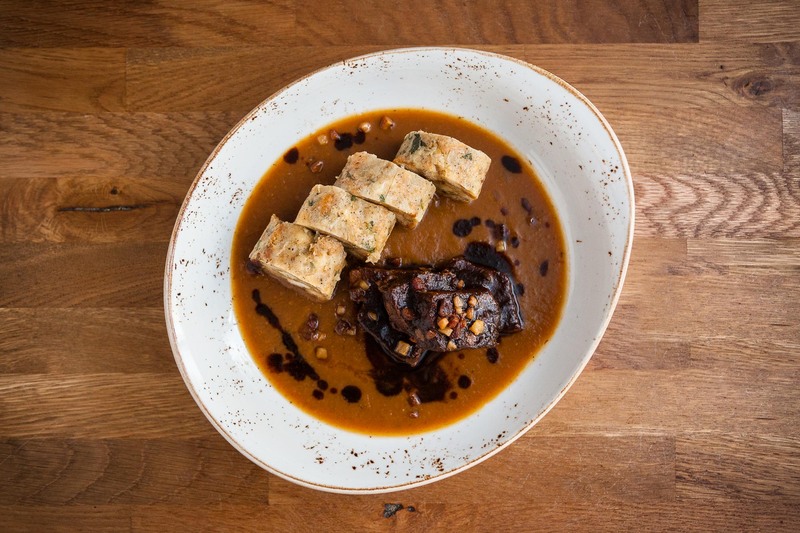 We have a MEDUSACARD SPECIAL for all fully registered card holders: Duck pieces in duck fat with star anise, stewed onions and garlic toasts. Special duck or goose feast is also available upon request. Please e-mail us as at: lenka.poulova@medusagroup.sk for more info. Our homemade cream cakes are back on offer and you can enjoy them in every Klubovňa pub from July 1st. Do you know that feeling when the afternoon hunger kicks in but you know that it is not a dinner time yet? That is the right time for an afternoon snack! You can enjoy one every day from 3pm to 6pm in all Klubovňa pubs. You can treat yourself to fresh bread with home-made mangalica lard or deer sausage, different roasted breads or greatest hits like fresh potato pancakes with stewed sauerkraut and sour cream. Our great chefs have created some amazing seasonal meals for you as they do every autumn. You can enjoy yummy meals like cream of roasted chestnuts, duck patties, pumpkin cake and others. Autumn drink to warm you up can't be missing. :) Now available in all Klubovňa pubs. Come and enjoy Halloween Klubovňa style also this year! See you in all Klubovňa pubs on Saturday 31st October. In meantime, check out the photos from last year here. It was in the time of the creation of the first Klubovňa that we have already known that we want to offer our own original beer of a unique formula. A beer which you would not be able to buy anywhere else in the world, only in our pubs. So now we are very glad to annouce that we can nowl offer this unique beer to you. WE BREWED IT WITH YOU! In order to find out what sort of beer you would want to drink in Kubovňa, we made a big survey. Find the results here. According to the results we had prepared three samples. And then, we continually improved, modified, tasted and brewed three more. These were tasted, compared until the final product was chosen by experts from the world of beer together with you, our loyal customers and beer lovers. The result is Klubovňácka 11 °. Beer which we officially launched on 25th September in Petržalská Klubovňa and now you can enjoy it in all Klubovňa pubs. We believe that you will love it as much as we do. Photos from the launch here. Video from the launch here. We will launch the beer in all other Klubovňa pubs on the evening of Saturday 26th September. Professionals, journalists and beer connoisseurs who participated in our big beer survey came together in Ventúrska Klubovňa to taste three samples of beer from which the final version of Klubovňácka 11° was selected. Photos here. Not only professionals, but also you, all beer lovers and customers of Klubovňa pubs had the opportunity to taste all three samples and vote for your favorite one. Check out the photos from Centrálna Klubovňa here. The winner from both group was the sample "C". The Klubovňácka 11° is brewing now so you will be able to taste it in all Klubovňa pubs this September! Petržalská Klubovňa is open Welcome! 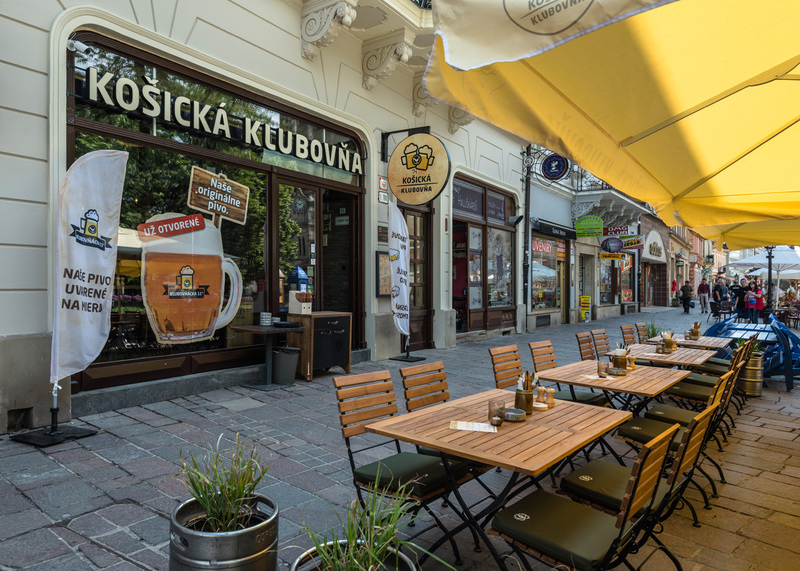 We have opened fifth Slovak Klubovňa, located on Starohájska Street in Petržalka. Petržalská is already a fourth pub from the chain in Bratislava. It features 175 seats in the interior, including a winter garden. The exterior has a beautiful summer terrace with 330 seats, which are divided between a smoking and no-smoking area. Petržalská Klubovňa has got the largest summer terrace from all the other Klubovňa pubs and it also includes a stage for music bands and a playground for kids. Table football, darts and large LCD screens on which you can watch your favorite sport matches can't be missing. If you have not visited the new Klubovňa yet, check out the photos and definitely visit. :) Photos here. We always try no enrich our offer with special meals according to the season and seasonal produce. We have created a special summer menu also this year. Summer menu of Centrálna Klubovňa here. Summer menu of Ventúrska Klubovňa here. Summer menu of Ružinovská Klubovňa here. Summer menu of Petržalská Klubovňa here. Summer menu of Bystrická Klubovňa here. NEW Petržalská KLUBOVŇA OPENING SOON! We are opening new Klubovňa on Tuesday 21st April! Petržalská Klubovňa will be fourth one in Bratislava (fifth in Slovakia). It is located on Starohájska st. no. 2 (opposite the racetrack) and good beer, great food and amazing atmosphere won't be missing! You can also look forward to an amazing kids corner. Check out all the updates on our facebook. Klubovňa will be crazy about ice hockey! Watch all the matches live. Watch all the matches of the IIHF World Championships in Centrálna, Ventúrska, Ružinovská and Bystrická Klubovňa and enjoy great food, good beer and amazing atmosphere at the same time. On top of all this, you can enter a competition during all the SVK matches. All you need to do is spend at least 20 € and write your contact details (name, surname, phone number) at the back of your receipt and put it in a special box. Easy. :) And after the championship is over, we will pick three winners who will win an amazing dinner for two. We always try no enrich our offer with special meals according to the season and seasonal produce. We have created a special spring menu also this year. Spring menu of Centrálna Klubovňa here. Spring menu of Ventúrska Klubovňa here. Spring menu of Bystrická Klubovňa here. 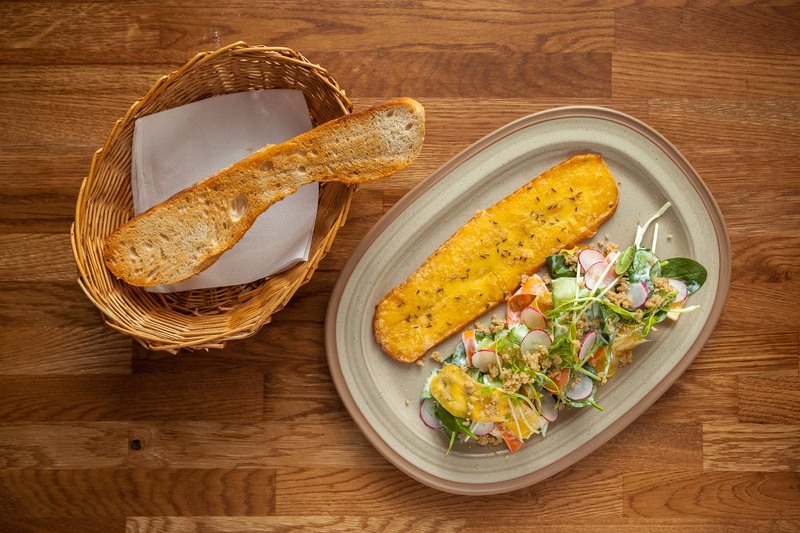 We also care about people with gluten intolerance in our Klubovňa pubs and so from now on, we also offer gluten free bread so that everyone can enjoy our goodies like bull tartare, Plesnivec blue cheese, liver pate or brawn. But we have not stoped only with bread, we also arrange to have gluten free breadcrumbs so that upon request we can serve you gluten free option of our fried neck cutlet "schnitzel" or fired Plesnivec blue cheese. Hog-killing delicacies in Klubovňa! Starting today in all Klubovňa pubs. Hog-killing has a long tradition in Slovakia. It used to be always a very important event in our villages. People would eat a lot, drink a lot but mostly stocked up with fresh meat for the whole winter. Chefs and cooks from our Klubovňa pubs have tried for themselves what a real hog-killing is. 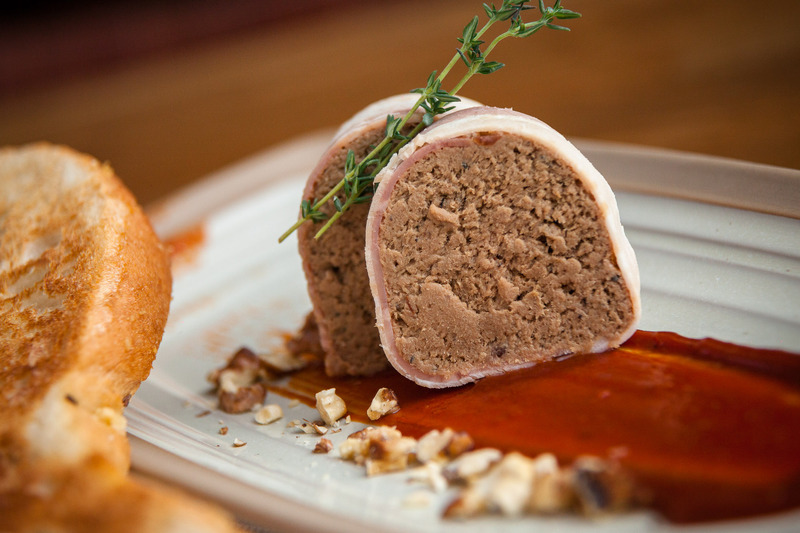 They had learnt all the procedure and recipes and based on this have prepared special hog-killing specialties which are available in all Klubovňa pubs until end of March. 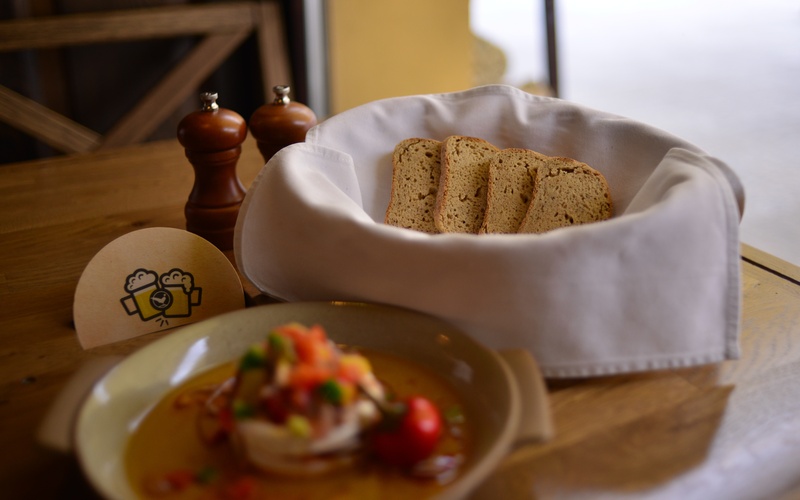 The limited offer includes DELICACIES FROM THE LARDER like Aspic from pork foot and knuckle with onion salad, cooked vegetables and homemade bread or Veal tripe soup with an onion cake and chili pepper marmalade. You can also choose from DELICACIES FROM THE PAN, GRILL AND OVEN, e.g. Oven-baked cabbage cake with smoked tongue, roasted onions and garlic or Grilled pork tail with grilled vegetables, potato skewer and mustard sauce. 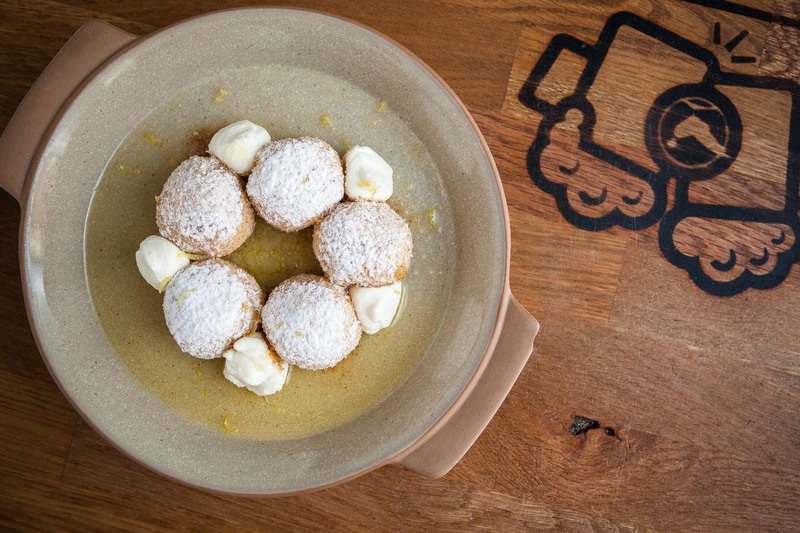 We did not forget about the SWEETS, you gotta try our Mini donuts! The main purpose of foam is to protect beer from air and to prevent the escape of CO2, so the beer keeps fresh and unique flavour. Therefore, in all Klubovňas we pour draught beer in such a way that the foam on it last for as long as possible. We use the special technique of tapping, in which we create so called wet milk foam which lasts for minutes. The "negative" of this technique is only one - the beer at a first glance, immediately after being poured, looks more under line than we're used to in Slovakia. This is because the foam is in fact full of beer, which is converted back to the golden beverage within few minutes. You will end up with a beer with thick and creamy foam - exactly as it should be. And this person is responsible for all this. You can run into him at Centrálna Klubovňa where he works as the bar manager. He has poured, tried and drunk a lot in his life. But don’t think that he only drinks beer at work, he actually know a lot about it! 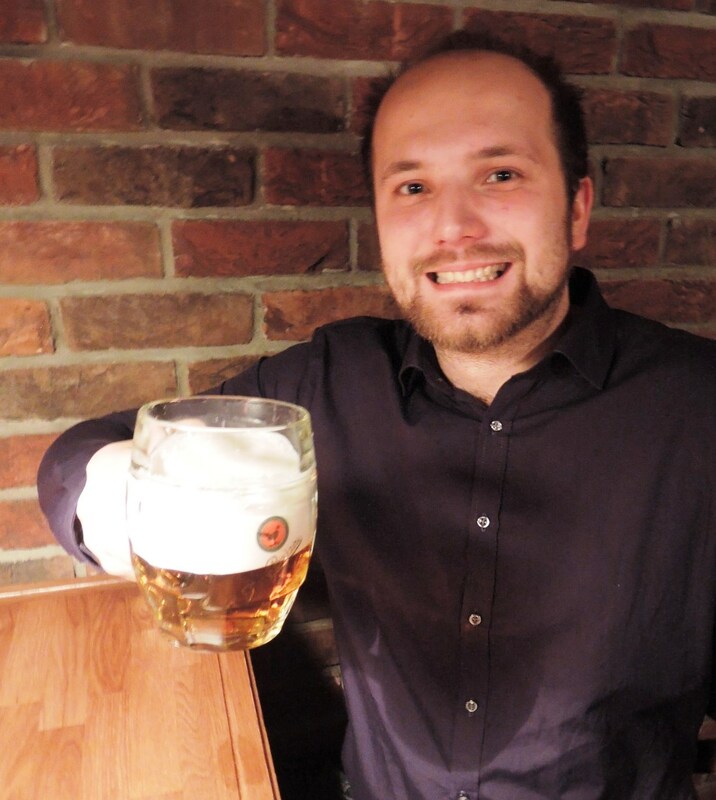 Matúš won 2nd place in a Slovak competition in draught beer pouring and beer knowledge. We have created a special app on our facebook fanpage in which you can find current daily menu for all Klubovňas. So now you will find all the latest news and informoation at one place - our facebook. More than 1300 of you want to do something for Slovak beer. And that’s not all. More than 800 beer enthusiasts answered the optional questions and so are in chance to be our “beer masters”. What does it mean to be a beer master? You will get to go on a trip with us, visit the brewery, taste and compare the first trial samples and by doing this, having an influence on the final beer product. More information about the result of the survey and the names of our beer masters coming soon. :) Follow us on facebook in meantime. We have launched a big survey in which we want to find out what type of Klubovňa’s own draught beer you would like to drink in the Slovak chain. We would also like to explain to you why we are asking these types of questions in the survey and what sorts of information we want to gain from this survey. We are asking you very detailed questions about beer. We are doing this so that we get a very clear picture of what you like and which aspects of beer are the most important for you. We are trying to get to know your exact preferences by asking you questions about different characteristics of beer. At the same time we have an open question (no. 3) in which you can write which type of beer you like. The survey starts with questions about the visits to Klubovňas, so that we know how many participants are regulars and how many people are not regular visitors or have never been to Klubovňa. We continue with the importance of individual properties of beer. We ask about the importance of different characteristics such as the foam, color, flavor, smell, intensity, gas and pasteurization. Logically the next questions are about the ideal „level“ of the beer. This question is very important to us as the „level“ is a Czech-Slovak unique and we want to brew local Slovak beer. We realize that different „levels“ are suitable for different occasions, so we ask you which „level“ do you drink most often when visiting your favorite pub. We ask about the color, smell and other things including the bitterness. People always discuss bitterness. A lot of traditional beer drinkers say that a proper beer must be bitter and taste of hop. On the other hand young consumers prefer less bitter beers. And that is why we are trying to find out what the ideal bitterness should be. And at the end, in the optional part we give you few knowledge questions which should test if you really are a beer lover and a total beer fan. Based on these questions we will evaluate people’s knowledge and pick from the correct answers few lucky winners who will participate and taste, smell, compare, discuss and decide about our beer. If you want to find out more, contact us on Facebook. We hope that you will help us, complete the survey and participate in creation of a fantastic Klubovňa beer. NYE menu in Ventúrska Klubovňa We got amazing specials for you! The unique chain of Slovak pubs Klubovňa has quickly become very popular within everyone who loves great beer, exquisite food and awesome atmosphere. We are planning to open more Klubovňa pubs throughout Slovakia in 2015, so that everyone will be able to experience and enjoy the amazing atmosphere. We care about this unique concept respecting and supporting positive sectionalism of each neighborhood in which each Klubovňa is located. Since the very beginning we knew that one day we will draught our own tank beer to our customers. Beer which would be made in our beautiful Slovakia. We will join forces with brewery in Hurbanovo so that we get the much needed experts, technology and capacity to brew the amount of beer which would satisfy the needs of all the Klubovňas. We have been bringing you novelties, original approach and things that we brought to the market first. We want to continue this and therefor want to please you with our own beer. We know that we won’t be the first to brew our own beer in these times when beautiful and interesting beers are being produced in small mini breweries. But we believe that we are the first ones to be actually asking its customers what type of beer it should actually be. And we are happy to be the first ones to actually brew the beer with you, people who we deeply care about. That is why we have launched a survey in which we ask you and others who want to participate in creation of an amazing and unique Klubovňa beer, what kind of beer it should be. Some of you will even join us in the final stage and tasting of first batches right in the brewery. You will taste, compare, discuss and decide about the final product. So you personally will be a part of the creation of a brand new and unique Klubovňa beer. On top of all this we will also reward you! Everyone who will take part in the survey will get a chance to win Klubovňa vouchers of 30€, 50€ or 100€ value. Do you wanna do something good for Slovak beer? Klubovňa will have its own tank beer. And we will brew it with you! The unique chain of Slovak beerpubs Klubovňa has become very popular really fast. Since the first one, Centrálna Klubovňa, we have opened two more and are planning to open many more throughout Slovakia. We want just the very best for our customers therefor we have decided to brew our own tank beer. Do you love beer? Do you drink it often and gladly? Can you appreciate its quality and great taste? Simply, is beer your hobby? We have launched a survey in which we ask you and others who want to participate in creation of an amazing and unique Klubovňa beer, what kind of beer it should be. By doing this, you will have an influence on which beer will be served in your favorite pub. Everyone who will take part in the survey will get a chance to win Klubovňa vouchers of 30€, 50€ or 100€ value. On top of this, few of you who will take part are even gonna participate in the huge preparation process and tastings of the first trial batches. We have prepared some amazing NYE celebrations in Klubovňa. The tickets are already on sale in your favorite Klubovňa. We got 4,5 stars! Review by Bratislavské noviny. You can enjoy limited offer of festive beers now in every Klubovňa. We have special dark Honey Porter 19% and Royal extra bitter Saintmartin’s special 13 from this year’s first hop harvest. Cheers buddies! Jesenné menu Centrálnej Klubovne tu. Jesenné menu Ventúrskej Klubovne tu. At Tuesday, 15th of July 2014 we have opened the second one in the row, Ventúrska Klubovňa. 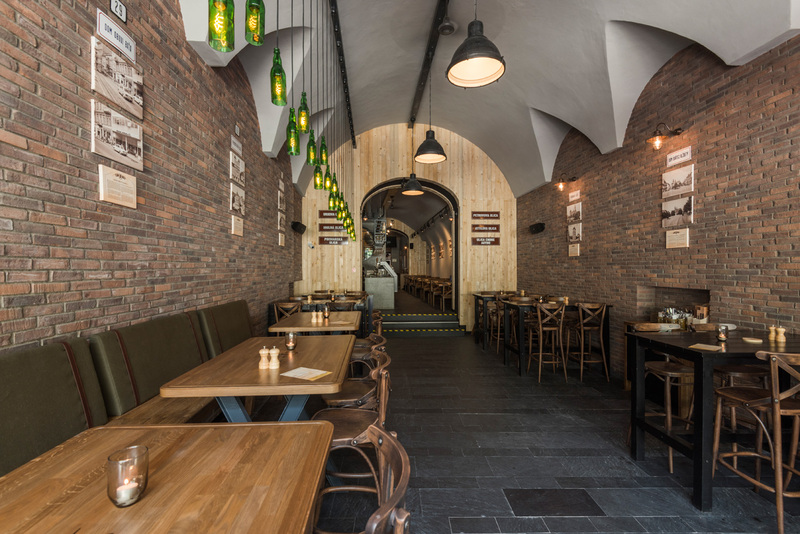 This is the first one in the historical centre of Bratislava and is awaiting all the people of good will with great food, wonderful fresh beer and perfect atmoshpere. Gallery of the new Ventúrska Klubovňa is here.